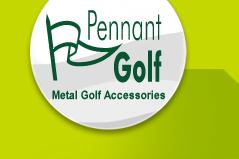 Thank you for visiting Pennant Golf. 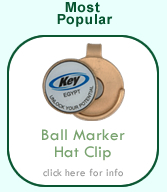 We have been manufacturing metal golf accessories for over 40 years. 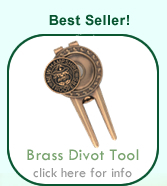 We invite you to look through our line and feel free to request more information or samples of our golf divot tools, golf hat clips, ball markers, bag tags or any of our golf items. Pennant prides itself on our professional support staff who stand by ready to assist you in planning your golf tournament, outing, event - or to help you merchandise your pro shop. Thank you again for visiting and we look forward to working with you.